It was a hot and sunny day, the type of day where the trees and flowers droop and it’s so warm that even the birds are silent. 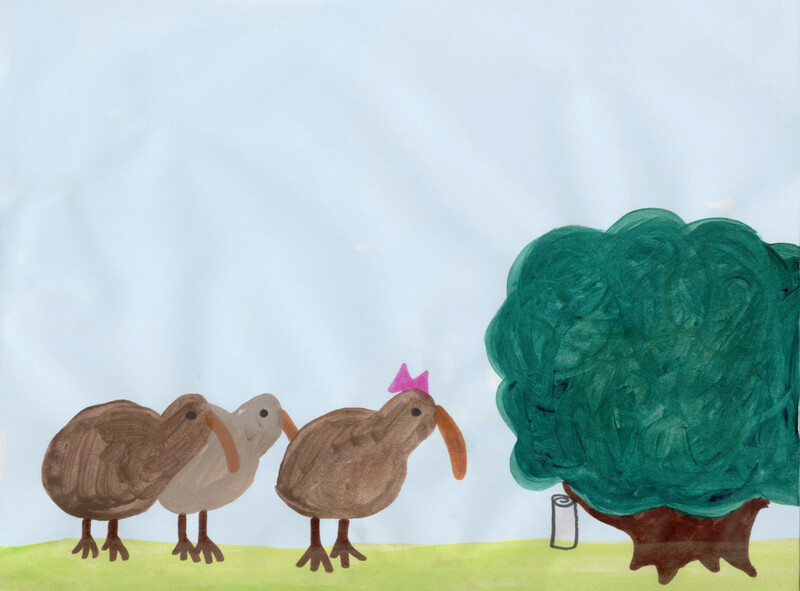 Sally, who was a kiwi bird, was standing in her yard with her little brother James and her best friend Denny, both of which were also kiwi birds. 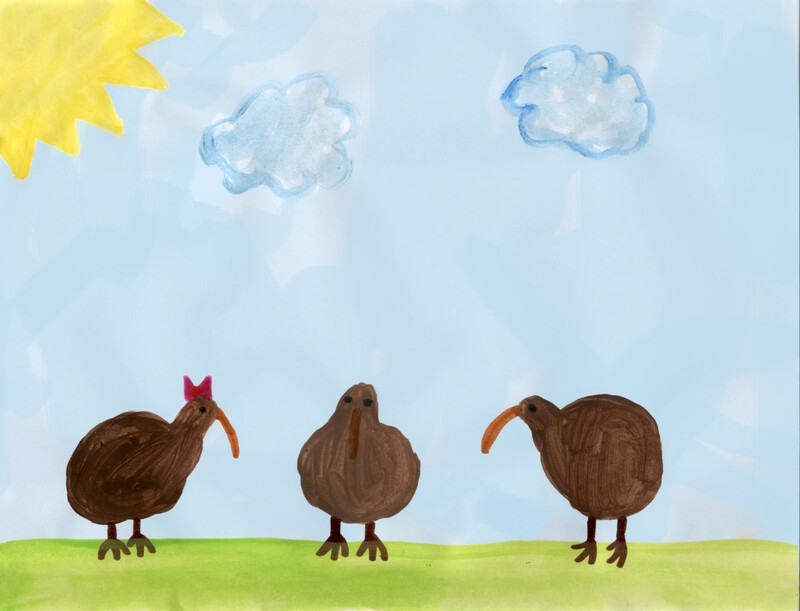 Although their parents had told them it was a nice day to go play outside, none of the kiwis thought so. It was summer break, and although summer should have been a time when everything was fun and anything was possible, this summer was different. It was a month into their summer break and none of the friends had ever been more bored in their lives. In fact, sometimes Sally thought they would be having more fun if they were at school. At least when they were at school there was always something to do. Sure, summer break had started out being fun. The friends had raced around in the sprinklers, gone swimming, ate ice cream, played baseball, read books, and played in Sally’s yard until dark. Eventually, they had already done everything fun you can do in the summer and were now bored. It was on this especially hot day that Sally, James, and Denny were sitting in Sally’s yard, trying to decide what to do. “We could go eat ice cream again.” Denny suggested half-heartedly. Sally and James shook their heads. “I’m tired of eating ice cream.” James said. Sally thought about every type of summer activity and tried to find something that they hadn’t already done yet. Still, no matter how hard she thought about this, she couldn’t think of anything. Sally sighed. It seemed like their summer would be wasted sitting in the hot sun and doing nothing. James walked away, heading for the shady bush that grew in the corner of the yard. “I’m too bored to think.” Sally agreed. Suddenly, James came running back over towards Sally and Denny and began jumping up and down with excitement. “Guess what! Guess what!” He exclaimed. “What is it?” She assumed that James had probably just found a worm or something. Excitement filled Sally and Denny. A treasure map? Sally, Denny, and James hurried over to the bush in the corner of the yard. Sure enough, under the thick green branches, sat a piece of old looking paper. Sally picked up the piece of paper and opened it. The paper was yellow and crinkled, and on its surface was a series of lines, blobs that represented trees and rivers, and a large red “X”. Sally and Denny started jumping around too. They couldn’t believe that they had actually found a real treasure map!